[caption width="3888" align="alignnone"] Image courtesy of Wikimedia Commons[/caption] Being a vegetarian or a vegan can be difficult. Youve given yourself dietary guidelines that you must follow but restaurants arent always accommodating of those restrictions. Youve probably gone through this same scenario on multiple occasions: you sit down at a restaurant, open the menu, scan it multiples times, and see nothing without meat in it. Its frustrating! The next time youre looking for a delicious vegan or vegetarian meal in Morgantown, check out these local eateries. The Venerable Bean The Venerable Bean Bakery specializes in all the regular treats youd find in a bakery but vegan style. Their ingredient-transparent approach lets customers know exactly what theyre eating before they choose their treat. They also have a selection of gluten-free options. Their bakery is fully vegan so you dont have to search for something that fits your diet needs; everything is fair game! Get a little peek at their offerings on their Instagram. We guarantee youll be salivating just scrolling through their page! The Venerable Bean is located 10 minutes away from Pierpont Place in the Mountain Peoples Co-Op. Chaang Thai Chaang Thai boasts itself as the One and Only Authentic Thai Restaurant in Morgantown, so if youre looking for real Thai food, this is most definitely the place to go. While they have vegan and vegetarian options, they also serve meat so your carnivore friends can tag along too! All of their vegan options are marked on their menu and their selection of curries are ALL vegan. The next time youre looking for something that isnt a boring salad, Chaang Thai is a great pick. Chaang Thai is right around the corner from Mountain Peoples Co-Op and just 10 minutes away from Pierpont Place. Black Bear Mexican food seems to be a favorite of vegetarians and meat eaters alike. The options are endless and endlessly delicious. Black Bears burritos can be crafted to your liking so no matter what youre craving that day, you can get it on your burrito. We guarantee that youll find something to suit your dietary needs at Black Bear Burritos! Check out their menu to see what toppings are in your future. 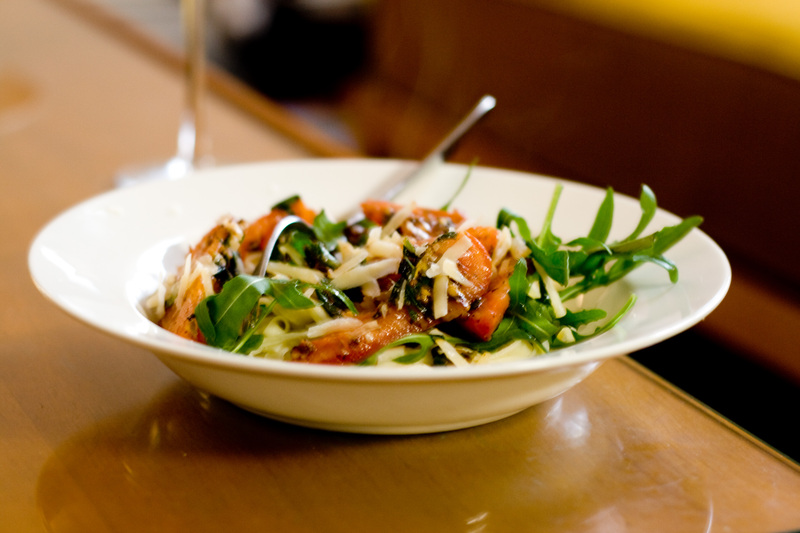 Finding a tasty meal at a restaurant that isnt a salad can be difficult when your diet restricts you. Luckily, Morgantown has some really great and accommodating restaurants. Where do you find the best vegan/vegetarian food in our area? Share your finds with us on Facebook and Twitter.